Often searched for, rarely found. Creating something that’s “simple” can be the most complicated thing to do. Hugh-Baby’s BBQ & Burger Shop throws back to a time when things were as simple as they could be. A time when even the smallest things were well-made with deliberate attention and care. When just because something was to be simply enjoyed, you didn’t throw craftsmanship and dedication out the window. We’ve brought back that same integrity to our menu with an obvious attention to detail that can be seen throughout. We illustrate this daily by grinding our own beef for our burgers, following time-honored Memphis barbecue traditions and showcasing the Corinth, MS, infamous “slug burger,” a depression-era favorite. Then we’ve combined these signature items with a small, straightforward menu that gives our guests more time to enjoy all the effort that goes into our food. That’s the clear-cut approach of Hugh-Baby's. Storyteller. Fierce family man. Jokester. Lover of good grub. This was Hugh-Baby's owner Pat Martin’s uncle “Hugh Baby” Coleman. Hugh Baby was a man who not only loved his family but loved nothing more than spending time with them while surrounded by real, honest Southern food. Pat Martin learned to love those same things in life. In fact, it was these times with family and friends that inspired Pat to become a Pitmaster. 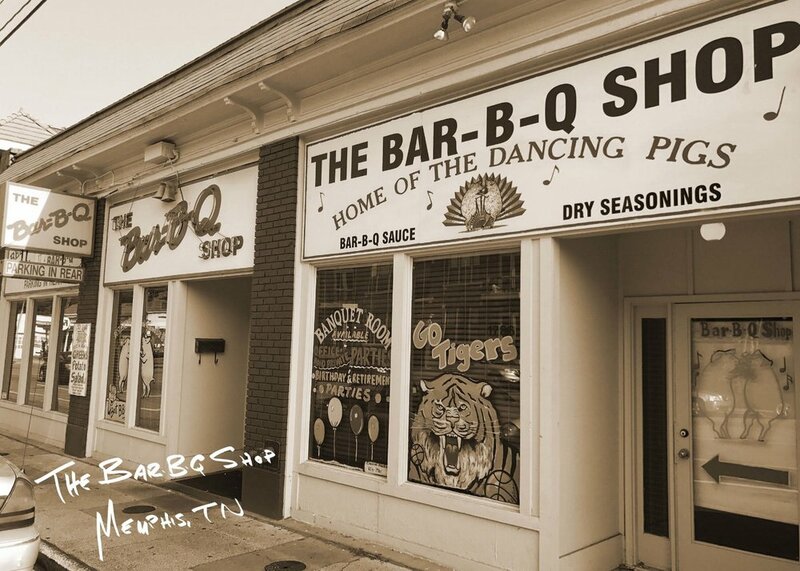 From the Saturday afternoon family time in Mississippi to opening Martin’s Bar-B-Que Joint, time around the pit has been a central part of Pat’s life. Since its opening, Martin’s Bar-B-Que Joint and Patrick have been featured on the Food Network, Travel Channel, Cooking Channel, and The Today Show and in publications such as Bon Appetit, Esquire, Conde Nast Traveler, and Men’s Journal. And now Pat brings the same dedication to Hugh-Baby’s BBQ & Burger Shop. An ode to a great man and great cooking. Burgers that have taken years to perfect. Pork that’s been smoked with time-honored Memphis BBQ traditions. Classic Mississippi Slug Burgers and hand-spun homemade shakes. Simply put: We put the time and effort into the preparation of our foods, not in ordering and eating them. No-fuss Southern hospitality harkening back to the 60’s-70’s style of small-town Southern burger and BBQ shops. A time when the food was great, cooked fresh and always as you expected it to be. We're pretty sure that’s still appreciated today. No freezers. No microwaves. Everything is made on-site, that day. All burgers are ground fresh, the fries start their day as fresh potatoes and the barbecue is smoked overnight. When it’s gone. It’ s gone. It’s our commitment to a quality experience that you deserve. 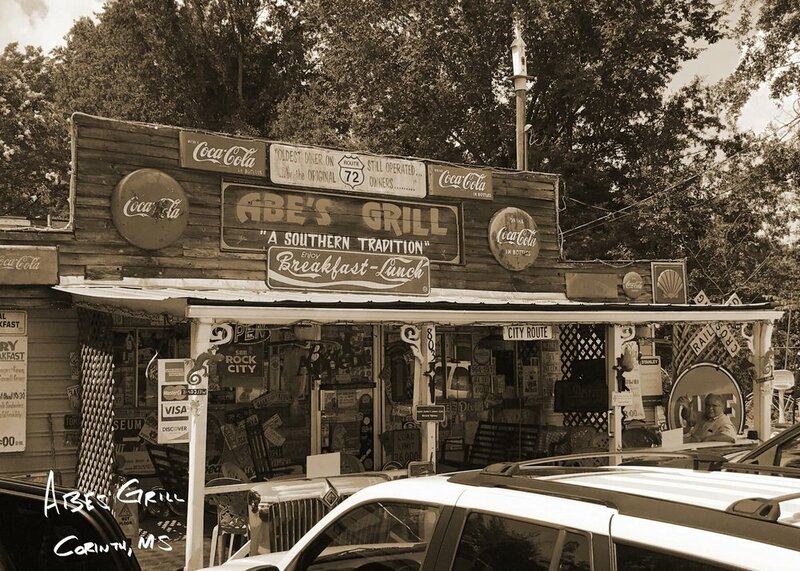 These are just a few of the classic stops throughout Tennessee and Mississippi that inspired the delicious simplicity of Hugh-Baby's. We stick to our roots by being a true Southern burger shop in the heart of Nashville, offering everything from a classic cheeseburger to our specialty barbecue burger—and there ain’t nothin’ better than adding pulled pork to one of our homemade patties. Our burgers are made with a proprietary blend of premium beef, ground fresh several times each day, never frozen, and cooked with you order it. Griddled and served on a butter-toasted bun, it’s got exactly what it needs and nothing else. We’ve got one heck of a veggie burger, too—a custom blend recipe of black beans, mushrooms, onions, and cashews that you won’t find anywhere else. We make simply good food, done right. That’s what makes us one of the best burger spots in Nashville. So come on down to Charlotte Pike and get a taste for yourself. Smoking fresh barbecue every day is a labor of love for us, and we wouldn’t want to do it any other way. Smoked daily for up to 18 hours, our fresh pork shoulders make the perfect barbecue sandwich. Topped with homemade slaw and sauce, they’re made exactly the way it oughta be. We know everyone also loves a good burger, and our BBQ burger is no exception. What really makes our BBQ burger stand out among other burger shops in Nashville is the quality of the smoked pulled pork that goes perfectly on top of a griddled beef patty, American cheese, grilled onions, and our original barbecue sauce. At Hugh-Baby’s, we’re cooking up a menu that’ll remind any Southerner of their favorite hometown barbecue shop that they visited as a youngin’. And just like those good old Southern barbecue shops, it’s possible we’ll occasionally run out of food to cook. We make it fresh every day and it goes quick. When it’s gone, it’s gone. 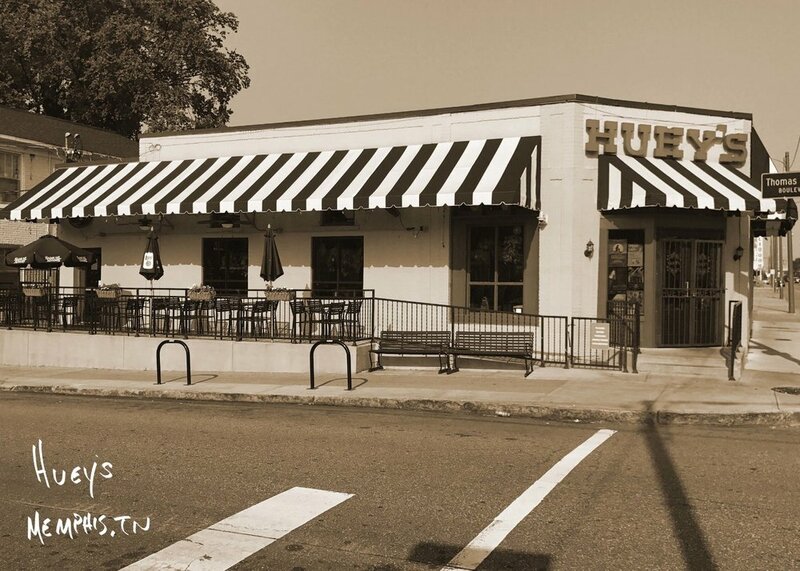 So head on over to West Nashville and let us fix you a bite to eat. You can get a taste of Mississippi while you’re in Tennessee at our little burger shop. Invented in Corinth, Mississippi in 1917 and sold for a nickel (a.k.a. a “slug), the Slugburger is part meat, part flour, and part soy grits. Their affordable price made them a perfect, inexpensive meal during the Great Depression and World War II. 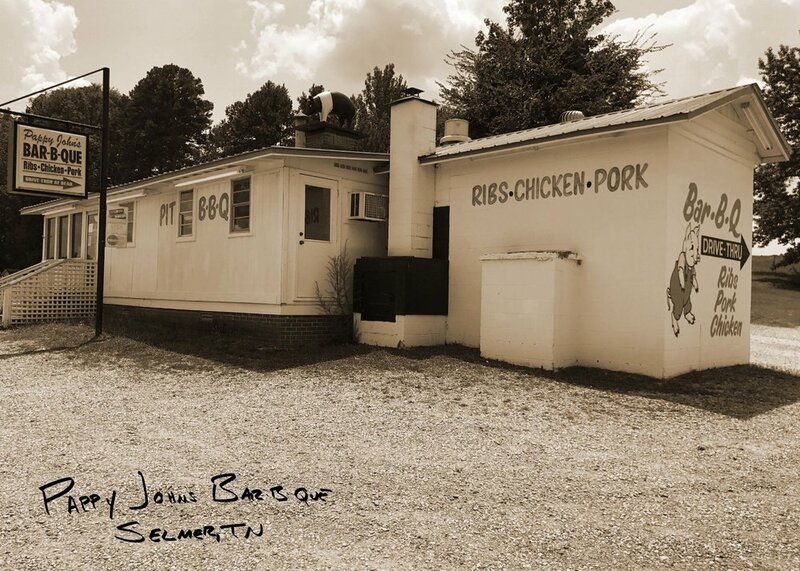 Traditionally served with mustard, dill pickles, and onions, today they’re still the perfect bite of a little Southern history. I mean, you can’t come to our Nashville burger shop and not expect to get some delicious fries—the perfect addition to any dog, burger, or BBQ sandwich. We start each morning with whole Idaho potatoes, give ‘em a good scrub, cut ‘em by hand, then flash-fry them for that perfect golden crust. When ordered, we fry them once more and season them up just right before bringing them to you. The best way to wash down any meal at our burger shop is with a hand-blended shake. Simple and delicious, the humble milkshake is a staple at any well-respected burger joint. We take our hand-spun milkshakes seriously…so much so that we make our milkshake mix from scratch daily - even our chocolate syrup is homemade. What the heck is a Slugburger? First, no. They aren’t made from actual slugs. A Depression-Era favorite, a "Slugburger" is made with ground meat (usually pork and sometimes beef) and flour, soy grits or another extender. They are as flavorful as they come and a delicacy in the area of North Mississippi, West Tennessee and Northern Alabama. Back in 1917, John Weeks moved to Corinth, Mississippi from Chicago. 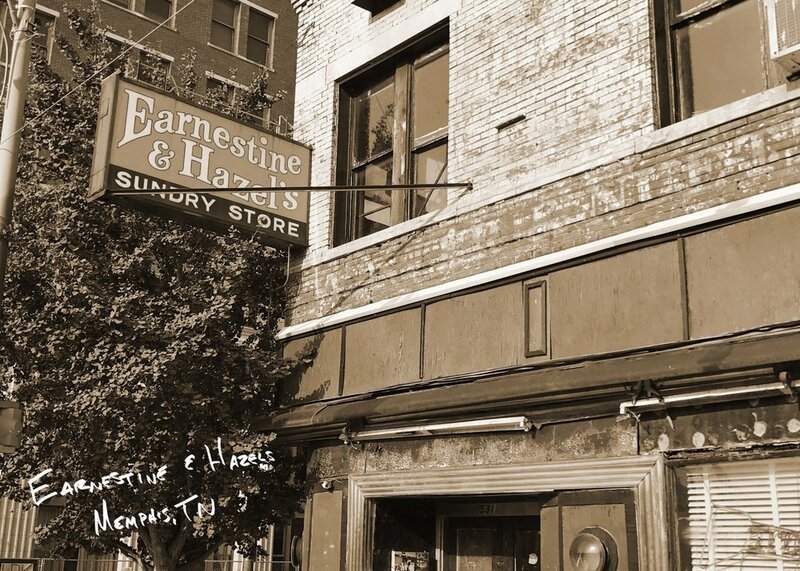 Using his knowledge of the beef processing industry from the Windy City (and reportedly a recipe from German immigrants), he devised a way to help him start a new burger business while helping him save money on the meat during the process. Of course, the product helped customers save money on their meals as well. The result: the Slugburger, or “Weeks Burger” as it was originally called. Selling for a nickel or a “slug,” these burgers were the perfect, inexpensive meal during the Great Depression and World War II. John sold his new burgers from the back of a moveable shack with bicycle wheels. 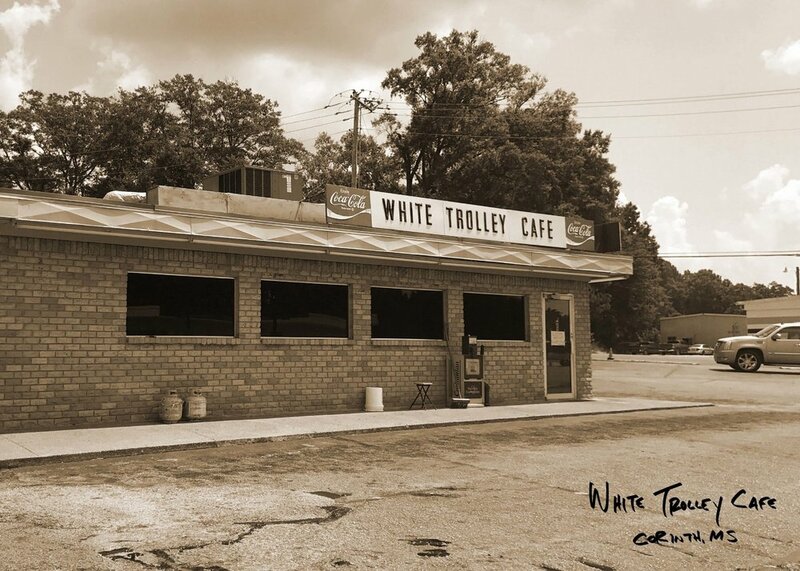 Years later his family franchise would grow, and by 1947, he purchased an old trolley car that he converted into a freestanding café. From there, four more trolley cars would be converted, and the legend of the Slugburger grew. Over the years, the price may have changed, but the name has stuck. Today you can still find them in Northern Mississippi and into some areas in Tennessee and Alabama. And of course you can find them here at Hugh-Baby's. 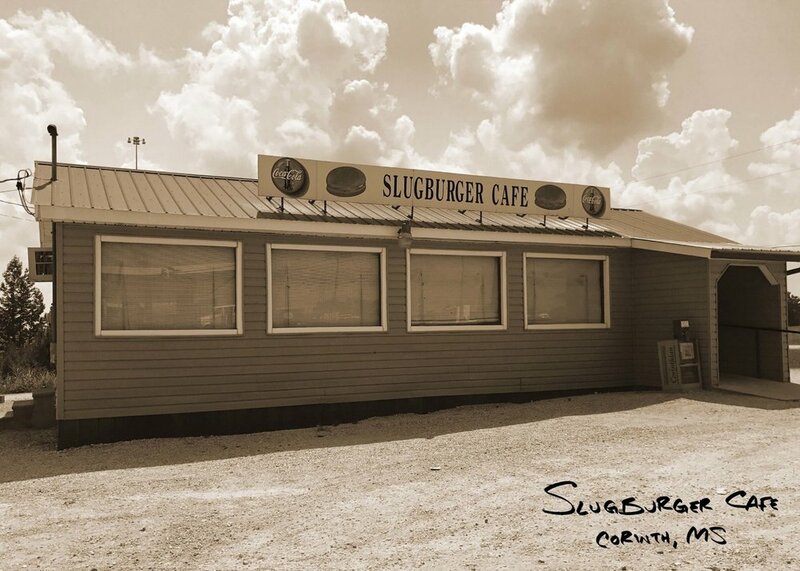 Traditionally served with mustard, dill pickles, and onions, the Slugburger is the perfect bite into a little Mississippi history. Heads up: Slugburgers are only available on Fridays! For even more about the Slugburger, visit our friends at the Southern Foodways Alliance.